Home › Admin › Are CSI/TSI Schools Bevin’s Charter School CheckMate? Bevin has promised to bring charters to Kentucky. He’s been making textbook plays from the #ALECPlaybook to accomplish this goal. From attacking pensions, to attacking teachers for standing up for their students, we’ve seen these moves play out in other states. From high-stakes testing and random CSI metrics that are used to label our schools as “failing,” to “broken on purpose” cuts to funding and unfunded mandates, to deprofessionalizing the profession of education, to raising graduation requirements without raising the level of supports, to taking away parent and teacher voice, we’ve been experiencing the death of public education by 1000 cuts. They don’t even hide it, as most of these plays are even published on the ALEC website. 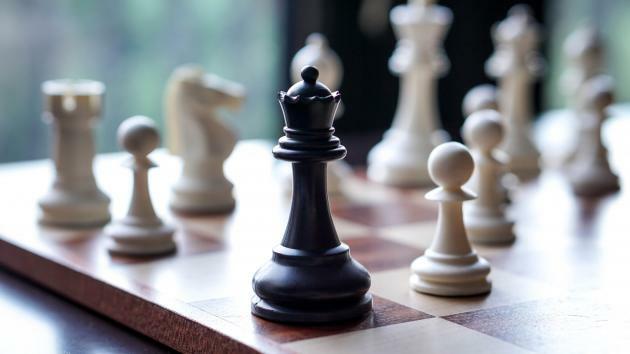 Matt Bevin, Wayne Lewis, Hal Heiner, Gary Houchens … Not only are they long-time players in the education reform business, they are playing chess and using our students as pawns. They’re down to just a few moves left, and they currently have us in check. They may have been unsuccessful in obtaining their charter school funding mechanism for their third legislative session in a row, but it doesn’t mean they don’t have a couple of back door moves still in play. The recent expansion in the number of TSI and CSI schools is one of those moves. Even without a funding mechanism in place, the KBE could encourage local school boards to outsource their most challenging schools to out-of-state interests. Another move is the threatened takeover of JCPS. Once Wayne Lewis seizes control of the JCPS Board, he can override local board control and convert struggling schools into charters against the community’s wishes. Once charter school operators set up camp in your state, it’s much harder to get them out. Ask our friends in Washington State, where charter schools were declared unconstitutional, but not until several charters had already opened. Lawsuits have been filed, decisions challenged and rulings overturned and challenged again. In the mean time, much money and resources have been wasted that could have been spent on their children’s futures. This quote, from former Board Member Roger Marcum is telling. Related: Why are they playing switcheroo with BOE appointments?